The Boss TR-2 Tremolo Guitar Effects Pedal is a high-quality vintage-style tremolo, with dedicated controls for wave, rate, and depth to provide excellent tone shaping capabilities. 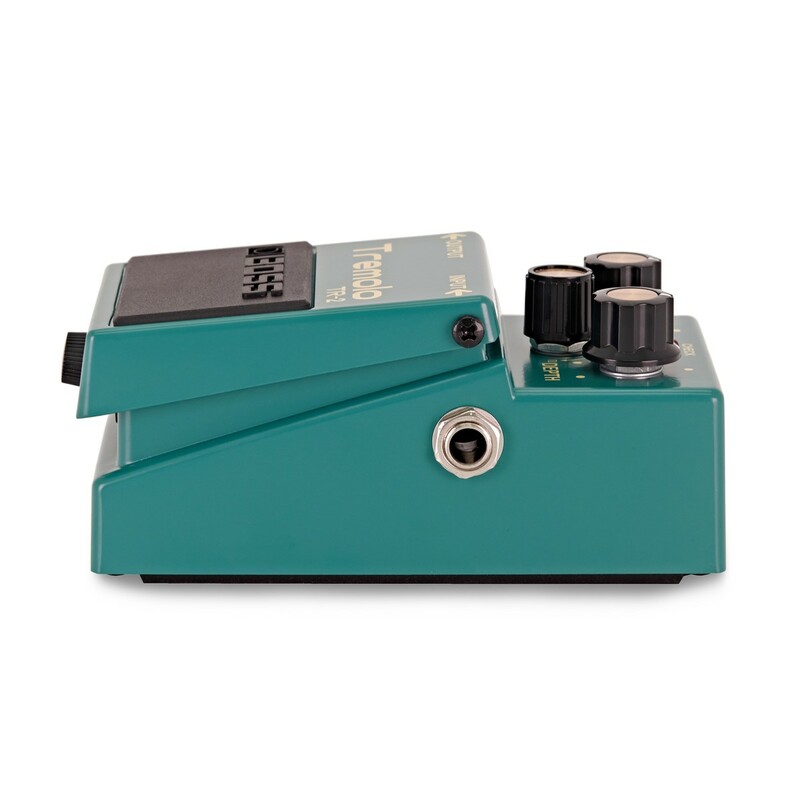 This classic effect has been used over many years, appearing in a variety of musical genres and popular songs such as Green Day's Boulevard of Broken Dreams and The Smiths' How Soon is Now? 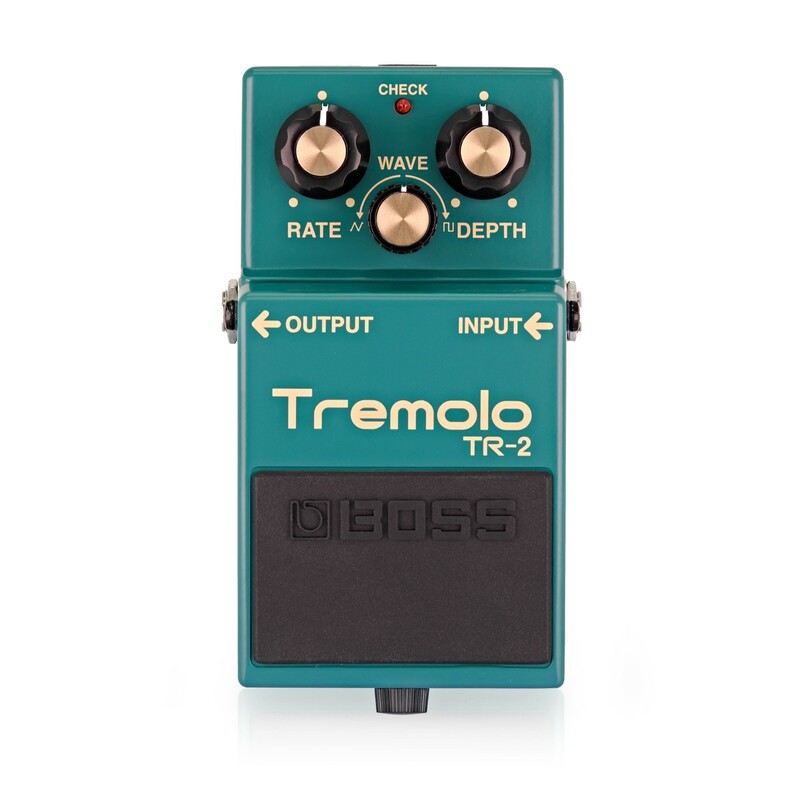 The compact Boss TR-2 Pedal delivers that same feeling and sound, offering a wide range of captivating tremolo options to enhance any performance. 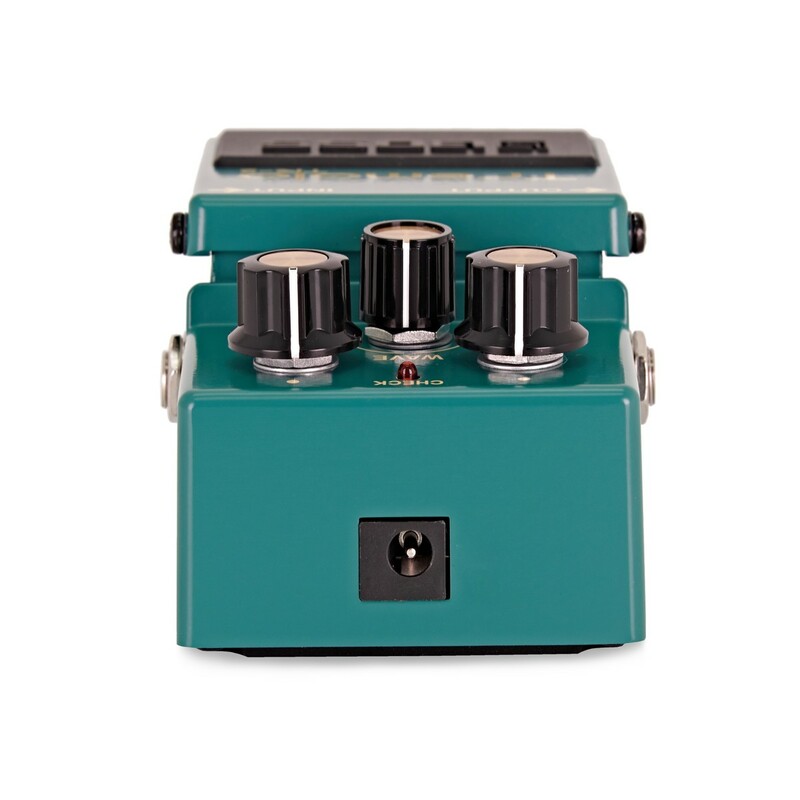 The TR-2 Effects Pedal is designed to offer high-quality tones and a beautifully vintage tremolo, giving any player a trip back in time to the days of groove, funk, and psychedelic rock. 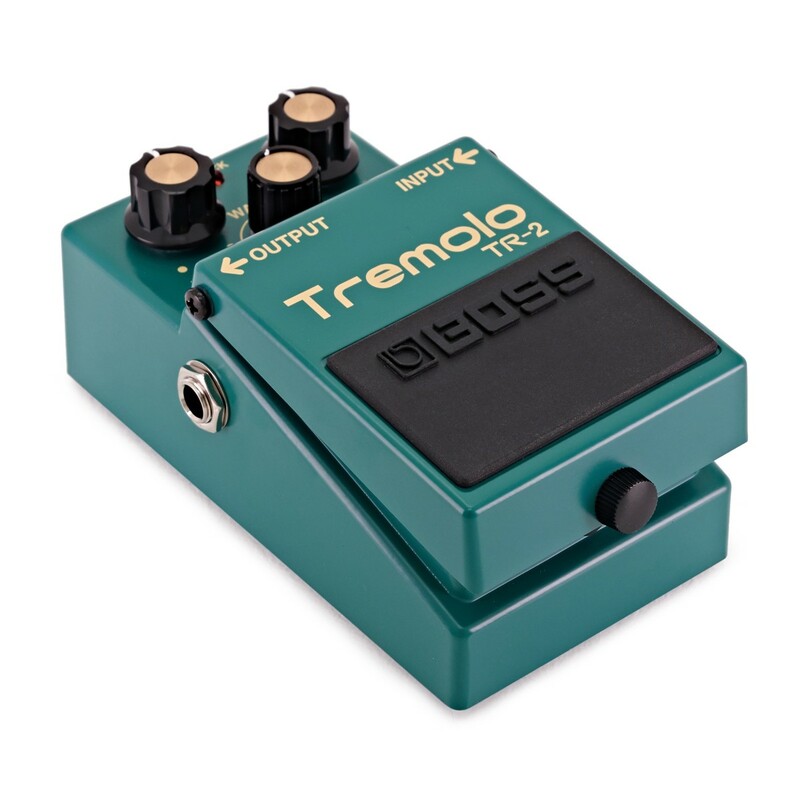 This easy to use and compact pedal is equipped with dedicated control knobs for wave, rate, and depth, offering excellent precision in the tailoring of the pedal's sound. Adjust the rate control to set the speed of the oscillation, going from a smooth wave-like splash to full on cascading strikes. The wave control alters the LFO wave from a triangle to a square, while the depth determines the strength of the effect.